The first indication of a house infested with termites is one having tiny flying insects. However, not all insects that fly are termites. Few of them may be flying ants. 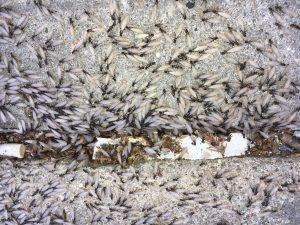 It is very difficult to differentiate between a termite and a flying ant, but termite control professionals are trained to do so. To understand whether your house is infested or not, it must be noted that one must be able to make clear distinctions between the two. But first, let us study the two species separately. A lot many people have seen flying ants at their homes but fail to recognize them and instead these insects are labeled as termites. Carpenter ants are a specific species of ants which can fly and reproduce. If you notice that flying ants have suddenly turned up at your house, this may mean bad news. These insects showing up during winter is all the more dangerous because this may mean that they have nested in your house. However, seeing an occasional flying ant does not mean anything because ants may fly through your house and then die because they couldn’t find any place for nesting. Flying ants or carpenter ants are spotted in places which have water leakages. Termites have been labeled as silent destroyers because they hide and damage your furniture and other property. You can identify termite infestation in construction places mostly by tapping on wood. If you hear a hollow tap, this means it has been infested with termites. You will also notice wings that have been discarded close by. Three kinds of termites exist dry wood, damp wood, and subterranean termites. Termites are what are called detrivores which means they consume dead plantation and trees. Apart from wood they also eat plastics, paper, etc. Their eating habits differ according to the type of termites. A termite can easily be recognized by its antennae which are straight. Their wings are also of the same length, and their abdomen is straight. Wings of termites are also placed on top of one another which give the appearance of the wings being one instead of two. They are either brown or black, but swarmer (alternate name for termites) has transparent wings. In case of flying ants, their antennae are bent, and the length of their wings is also unequal. These insects also have an extremely thin abdomen which appears to be pinched towards the center. They can be reddish, black or even brown. Ants, as well as termites, are known to exist together in huge colonies with a caste system that segregates different designations. Termites usually inhabit wooden surroundings like wood that has decayed stumps, wooden debris, etc. A few species of ants like the carpenter ants reside within wooden dwellings as well. However, these ants are never seen eating wood, unlike termites that can completely ruin the wooden structure by consuming it. Termites usually swarm during spring while ants are known to fly during the summer season. Both of these species – flying ants and winged termites, are seeing swarming around sources which emit light when it is dark. As we already know, termites survive on wood which they do for the purpose of deriving cellulose. Cellulose is the primary nutrient that termites are known to survive on. Ants, on the other hand, happen to be omnivores and consume nectar, other insects, seeds, etc. There are significant distinctions between the life cycle of an ant and a termite. The ant’s life cycle constitutes four stages while the termite’s life cycle has only three stages. The four different stages of the ant’s life are egg, larvae, pupae and adult stage. The worker class of ants survives for very fewer years while queens have a longer lifespan. Termites go through the egg stage, the nymph or larval stage and the adult stage. Maximum termites live for many years, and queen termites can survive for decades together. Their mating habits are very similar. Male ants usually die right after mating while females survive. On the exterior, the damage caused by both, termites and flying ants, look almost the same. But when you look close, there are minute differences between the two. In case of flying ants, they only hollow out the wooden spaces to create tunnels. For this purpose, they prefer rotten wood or soft wood. Also, these insects are attracted to places that have water leakages or other water-related defects. After mating, the wings of flying ants are often found near the windowsills of your house. The infected wooden areas will undoubtedly also have piles of wooden sawdust from the hollowing out process. All of these indicators mean that the insect is a flying ant. 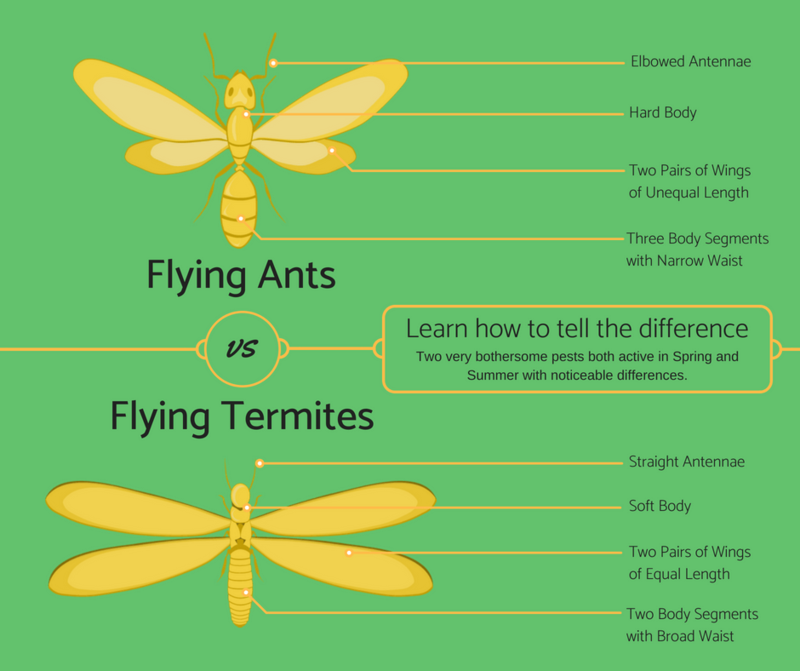 Similarly, termite wings are also usually left behind near doors and windows however it is easy to differentiate them as their wings are of the same size. Termite wings are twisted which means that they do not shed wings. The damage to wood is usually behind or below surfaces such as walls. Termites also prefer hiding safely meaning if you notice insects crawling near you, there is a good chance that they are ants. You can use insecticidal dust to control flying ants. You may have to look for their nesting areas or drill a couple of holes to inject this dust and control the infestation. This works best for indoor purposes. If the infestation is outdoors, then you can use a perimeter spray. Make sure you follow the instructions provided to be safe. Baits are also an effective way but are slower when it comes to a long-term goal. Termite infestation is also very dangerous, and the smallest step can help you save lots of efforts. 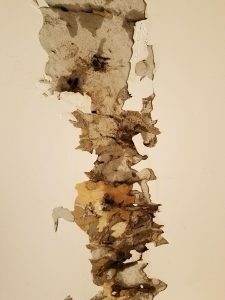 Termites infest areas with a lot of moisture so try reducing it. Remove too much plant cover and stagnant water around. Get rid of debris or unnecessary wooden structures and ensure the wood you have isn’t touching the soil. Ensure that all vents in your house are clear and try sealing points of entry near sources of water like pipes. It is important to understand that either of the two pests may cause trouble if your house is infested. 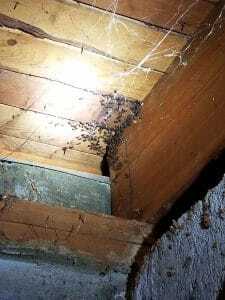 To avoid problems, keep a watch on the kind of insects in your home and try to use the above pointers to recognize which of the two has infested your property. If caught in the early stages, our termite control services can be used to solve the menace. However, if you delay it too much and allow the colonies to grow inside, it could cause a lot more damage. Contact Rest Easy Pest Control to solve your pest problem, no matter which pest you are dealing with.